Mumps is a common childhood illness, but it can appear in adults as well. Usually when it comes up at this time, it can be more serious. To help, we talked to experts to get questions about mumps in adulthood. Can every adult get mumps? Mumps are a much more common illness in children. "It usually occurs in children not vaccinated against mumps, rubella and measles (MMR) or who have not received all doses of this vaccine yet," explains infectious disease specialist Juliana Tangerino, a member of the Brazilian Society of Infectious Diseases (SBI). In addition, it is the type of disease that once has, the body develops an immune response that does not allow it to return. Therefore, adults who have had mumps in childhood have no chance of contracting the disease. However, an adult who has not had the disease previously, in childhood for example, and has not taken all doses of the vaccine within 30 days is more vulnerable to mumps. Therefore, we can consider that its incidence is rare. "90% of virus attacks occur in children up to 15 years of age," says Ivan Marinho, infectious disease specialist at the São Camilo Hospitals Network in São Paulo. Are the symptoms of mumps in adults stronger? Yes, the disease usually manifests itself more intensely in adults. Juliana Tangerino explains that this is mainly because the immune system is more mature. The symptoms of a disease are a result of our body's action on the virus and the adult's immune response is much more potent than that of a child. Remembering that the main symptoms of mumps are fever, weakness and the characteristic increased salivary glands on one or both sides, causing swelling just below the ear between the jaw and neck. Are there cases of asymptomatic mumps? Mumps may be asymptomatic in between 30 and 40% of cases , but this is much more common in children than in adults, as emphasized by Ivan Marinho. Because the disease is much more common in children. What is the treatment for mumps in adults? In both adults and children, mumps are treated only in their symptoms, without a specific medicine for their virus. "The most important thing is to respect the rest time and maintain a good diet and hydration, consuming light foods, avoiding fats and prioritizing items that give energy to the body, such as carbohydrates," teaches Marinho. Feeding and resting are important for the proper functioning of the immune system, which ensures that the body will fight the mumps virus efficiently. Mumps in adulthood causes more complications? Complications of mumps in children and adults are the same, inflamed testicles (orchitis), ovaries (oophoritis) and pancreas (pancreatitis). 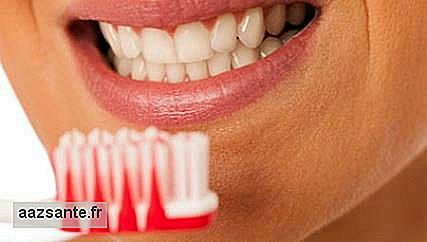 It can also attack the thyroid and cause encephalitis and meningitis. "The mumps virus has preference for gland tissue, so its complications are more common in these organs," says Marinho. When the mumps virus attacks the ovaries and testicles is the most serious complication, since it can cause sterility. To avoid complications, it is best to rest and follow medical recommendations. "However, complications occur as a consequence of each individual's response to the disease, so there is no specific way to prevent them," says Juliana. Is it possible to prevent mumps? The best possible prevention measure for mumps is vaccination and this has already been proven in epidemiological data. 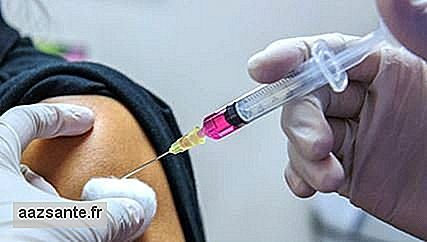 In the United States, for example, from 1968 to 1985 there was a 98% drop in the incidence of this disease, thanks to the implantation of the vaccine, as Marinho considers.Vaccination should be done within 30 days between doses depending on the vaccination schedule, or the effect is not the same and immunity against the virus is compromised. Furthermore, it is important that the person with mumps isolates from the others, "away from usual activities 5 days after the onset of swelling of the salivary glands," says Juliana. 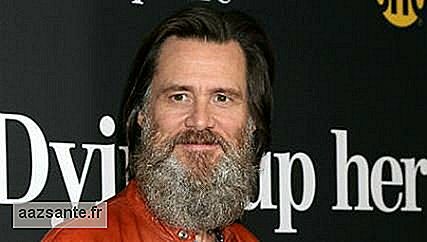 In a recent interview with the British newspaper I News , actor and comedian Jim Carrey revealed that he continues to struggle against depression. According to him, currently, the disease does not last long enough to suffocate it, but it is still there. "I've had [depression] for years, but now when the rain comes, it rains, but it does not stay," she said. In a statement released on Tuesday (16) the World Health Organization - WHO said that the entire state of São Paulo is now considered an area of ​​risk for yellow fever. The WHO indicates that the tourists who went to São Paulo should be vaccinated 10 days before they disembark in the state. The change in the guideline occurred because of the increase in cases of yellow fever in São Paulo: of 40 cases that occurred within the state, 21 of them have evolved into deaths since the beginning of 2017.